In relationship debates a common question is can exes be friends, this is a topic that people have different opinions on. When couples break up, one person most commonly the dumper tends to drop the common phrase ” I hope we can be friends though”. What I want to understand is, do these individuals just say this to ease the blow or do they genuinely have intentions of forming a friendship with their ex partner. Although some couples part on amicable terms and make a mutual choice to break up, others usually end with one person making the decision to call it quits. This often results in the person that was dumped still have feelings for their ex. In this particular circumstance, a friendship would not do any good. My opinion on this topic is, if you happen to bump into an ex whilst out and about it is perfectly normal to be friendly, for example saying hello. Whereas a friendship that consist of talking on the phone and face timing is not necessary. I believe that the terms in which a couple breaks up determines how things are left. For instance if a relationship ends due to someone cheating, it may be hard for them to remain civil, let alone salvaging a friendship. Of course in time you may forgive that person, however I believe that attempting to be friends would just open up old wounds. There was a quote that was circulating around Instagram and Twitter in regards to relationships a little while back and I instantly thought about this whilst writing this blog post. This has always made me laugh, it’s quite an abstract comparison but what I am able to get from this quote is, if the relationship is over and dead why still keep that other person around. Their is a reason it ended. On the other hand a factor that could result is exes remaining friends, is if they have a child/children together. They will have to have some sort of relationship or at least attempt to be civil for the kids sake, regardless of the circumstances of their break up. Furthermore when deciding to be friends with an ex, one must also take into consideration wether a current partner is comfortable with this. Moreover, how will your exes partner feel about the friendship. Although you may have a friendship you perceive as innocent, a partner may not be so convinced. They may be uncomfortable with you maintaining a friendship with someone you once shared both an emotional and physical relationship with. Can you be friends with your ex on social media platforms such as Instagram and Facebook? That is tricky. One side is, its only social media whats the big deal with seeing what an ex is up to via images and videos. On the other hand, why would you want to see what your ex is doing and potentially their new partner. However if your over it, do you really care who they moved on to? Or does part of you want to see if they downgraded lol. This does not mean you are not over the person, some people do it out of curiosity, whilst others are plain nosey. To conclude, I believe that some individuals suggest a friendship merely to ease their conscience. Whereas others genuinely want to remain friends. 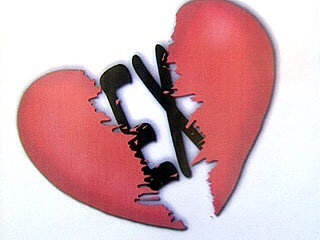 Many believe maturity plays a role with exes wanting to stay friends. I personally disagree, as I believe some peoples wether mature or not would rather simply leave the past in the past. Thanks for reading, I would love to know what your opinion on this is.